Head over to the new site by clicking here! PowerBlock™ - Vehicle Wiring. Simplified. 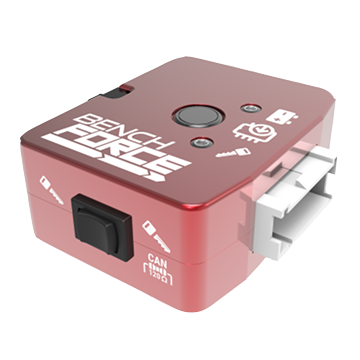 BenchForce™ PowerBlock is the central hub for powering up an ECU on the bench. PowerBlock is a circuit board solution that simplifies a vehicle's wiring into one simple CNC machined billet aluminum enclosure. Through the use of add-on harnesses, PowerBlock can handle just about any bench programming - especially OBD-II and J1939 applications. 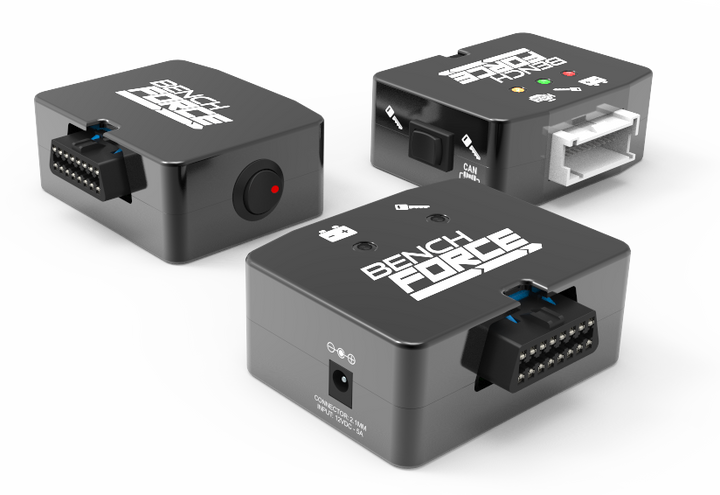 Connect your USB or serial laptop-to-vehicle programming interface to PowerBlock's OBD-II diagnostic connector and then choose from the growing selection of BenchForce ECU harnesses. Several simple steps and you'll be ready to connect your programming interface tool to PowerBlock's OBD-II diagnostic connector. J1939 programming tool support is available with the use of our OBD-II 16-pin DLC to J1939 9-pin DLC harness. ECUs that support both OBD-II and J1939 need only change the pass-through harness for dual protocol compatibility! 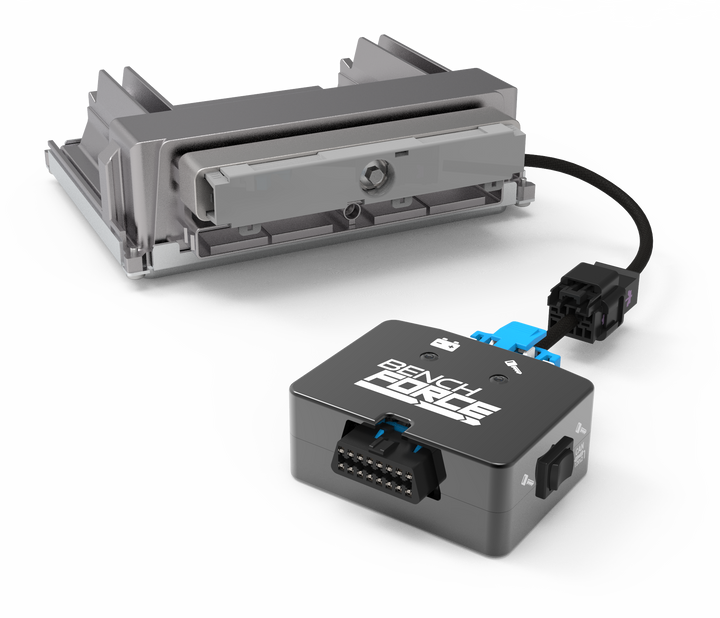 PowerBlock's OBD-II 16-pin DLC follows industry standards. J1939 9-pin DLC has no standard. It is important to verify proper 9-pin DLC pin layout to ensure compatibility with your programming interface tool. To provide for the Cummins ECU ROM boot feature, we added a momentary switch to the face of the PowerBlock II, anodized the housing red, and called it PowerBlock IV. PowerBlock IV supports OBD-II and is best-suited for J1939 because of its included ROM boot switch for Cummins ECUs.